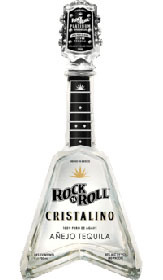 There are well over 1500 different tequilas currently being produced in Mexico. 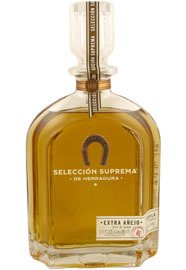 Since our last añejo tasting, the popularity of 100% blue agave tequila’ has exploded with the ever-increasing awareness of premium reposados and añejos, and the development of a "new" expression of extra añejo. 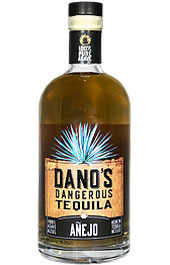 All tequilas start out as Blanco, with portions set aside for aging. 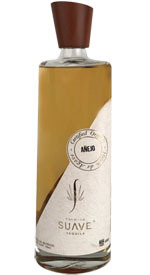 Añejo must be barreled in wood for at least one year, up to three years. Each distillery has its own preference for the type of barrel used in aging – made mostly from French oak or white oak. 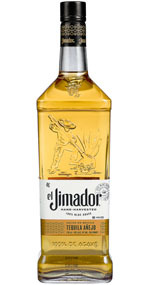 The newest classification, Extra-Añejo, are aged for three years or more. 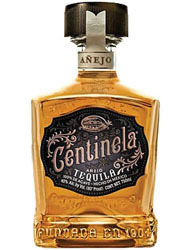 Añejo and Extra Añejo tequilas take time to produce, so they are best enjoyed straight up and sipped slowly. 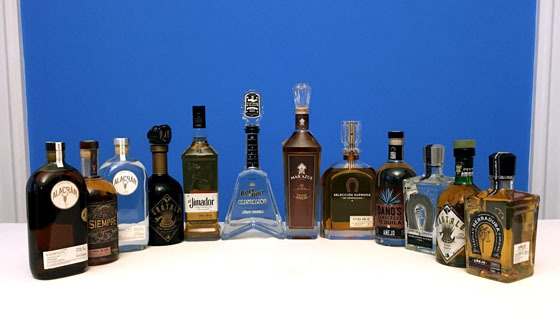 The Fifty Best held a “blind” tasting of 12 premium añejo and extra añejo tequilas with 16 members of our spirits judging panel. Strict tasting rules were applied. The order of service was established beforehand by lottery. 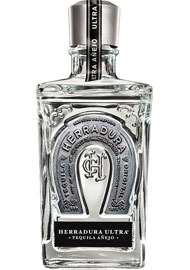 Each of the tequilas were poured into fresh glasses from new sealed bottles, and served at slightly above room temperature. Only ice water and neutral unsalted chips and crackers were available to cleanse the palate. The judges wrote down their impressions of each product on score sheets. The scoring was done on a 5-point system, with 5 as the highest. Double-Gold, Gold and Silver medals are awarded according to a set range of final point scores received from the judges. There were no bronze medals awarded for this tasting. The tasting notes that follow are summaries of the judges’ opinions, with all replicated commentary eliminated. Nose: Butterscotch, caramel, vanilla toffee, sugarcane, chocolate cake, cocoa, nougat, cream, light vanilla, rum vanilla ice cream, sweet amaretto, cantaloupe, papaya, melon, lemon, citrus, red licorice, almonds, coffee. 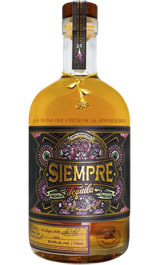 Palate: Caramel, toffee, fudge, chocolate, praline, cherry bark, vanilla, sweet cream, soft cream cheese, marzipan, amaretto, cooked sweet cactus, candied grapefruit, lemon tart, melon, pomelo, citrus, figs, raisins, herbal, almonds, hot spice, peppery, classic tequila but softened and mellowed, elegant. Finish: Nougat, vanilla cream, creamy, sweet milk, powdered sugar, corn, rice, cereal, melon, herbal, jasmine, rain, tip of the tongue spicy, peppery, coffee, smoke, woody, silky, smooth. Nose: Caramel, burnt caramel, butterscotch, light cocoa, honey, pineapple, pear, apple—malic, lychee, raisins, vegetal, jasmine, green tea, almonds, nutty, church incense, cinnamon, pepper, toasted wood, malty, early May. Palate: Toffee, caramel, creamy, vanilla, honey, peach, pear, apple, orange, kumquat, lychee, rhubarb, stewed plum, raisins, ginger, floral, vegetal, nuts, clove, spice, winter spices, malt, grain, bourbon barrel, woody, oak, smoke, smooth, balanced malt meets wood, rich, interesting. Finish: Toffee, white chocolate, muscovado sugar, maple, vanilla, candied ginger, sweet tea, dark passionfruit, pear, lychee, orange peel, clove, spice, kitchen spice, vegetal, iodine, new wood, cedar, easy, smooth, steady, classic, rich, nice finish. Nose: Caramel, butterscotch, toffee, chocolate, vanilla bean, vanilla cream, cream, latte, agave sugars, candied apple, ripe apple, pear, berries, raisins, light citrus peel, toast, cinnamon, sloe gin, bourbon. Palate: Chocolate-covered almonds, vanilla, vanilla fudge, sweet cream, honey candy, honey, deep ripe apple, melon, fresh fruit, figs, raisins, brown sugar, peppered brown sugar, corn, toasted almonds, herbaceous, herbal, cinnamon, pepper, leather, mahogany, rum-like, aged sherry, whiskey, nuanced, silky, smooth, lush, rich, really tasty. Finish: Toffee, caramel, vanilla, honey, tropical fruit, citrus, spice, pepper, peppery, cedar, very clean, well-balanced, complex, smooth, great neat. Nose: Caramel, praline, chocolate, vanilla, sweet cream, vanilla tea, candied wax lips, honey, pineapple, melon, lemon-lime, banana peel, dried fruit, floral, jasmine, grassy, anise, licorice, almond, coffee, pepper, bacon, smoky, char, wood. Palate: Toffee, caramel, nougat, white toffee, cream, vanilla, sugarcane, honey, fruit develops, pineapple, pear, dry apple, fresh cooked cactus, nuttiness, spice, peppered coffee, peppery, black olive brine, mineral, toasty, smoke, wood, cedar, oaky, silk, rich. Finish: Pumpkin pie, agave, honey, melon, green beans, almonds, black licorice, eucalyptus, menthol, mint, peppery, minerality, toast points, smoky spicy coffee, soft, very smooth, feisty, delicious. Nose: Butterscotch, caramel, vanilla, pineapple, melon, agave, raisins, citrus, citrus soda, aloe leaf, spearmint, herbs, spicy, tobacco, soap, mineral oil, mineral, dust, slightly musty, brine, smoke. Palate: Chocolate, brown sugar, maple, clotted cream, vanilla, pineapple, dates, figs, fennel, licorice, mint, peppermint, dried herbs, gardenia, green grass, cinnamon, spice, black peppercorn, tobacco, leather, wood, oaky, cedar planks, smoked cedar, scotch. Finish: Chocolate, vanilla, honey, Fig Newtons, floral, herbs, pepper, crushed red pepper, cognac, rich, lasting finish, gentle, silky, smooth like velvet. Nose: Vanilla, creamy, maple, honey, papaya, rustic agave, apple, pear, lemon zest, dried fruit, leather, brine, dusty, earthy, wood, cedar, pine, oak, lightly charred oak, rich. Palate: Caramel, chocolate, vanilla, candied, honey, pineapple, papaya, agave, dried fruit, raisins, pink peppercorn syrup, whipped cream, amaretto, hazelnut, green grass, herb, spice, peppery, cigar, brine, earthy, smoky, wood, oaky. Finish: Butterscotch, tart fruit, bell pepper, sweet pepper, herbaceous, cracked almond, white pepper, black pepper, peppery, spicy, earthy, cedar, lasting fruit, creamy, silky, smooth. Nose: Toffee, caramel, butterscotch, nougat, vanilla, creamy vanilla, chocolate, cocoa, sweet cream, clotted cream, creamy, cream soda, cantaloupe, melon, lime, citrus, herbaceous, coffee. Palate: Toffee, butterscotch, caramel, praline, nougat, brown sugar, powdered sugar, vanilla, cream soda, cream, whipped cream, latte, silky almond milk, honey, cantaloupe, melon, agave, cactus, nuts, hazelnuts, peppery, silky texture, smooth. Finish: Vanilla, cream soda, chocolate, powdered sugar, pumpkin spice bread, spicy, pepper, peppery, burnt fennel, mild wood, balanced, soft, very smooth. Nose: Caramel, nougat, toffee, vanilla toffee, vanilla, saturated vanilla, white chocolate, crème brûlée, honey, banana bread, sweet coconut, fresh burrata, melon, apple, raisins, floral, almond, coffee, wood, buttered rum. Palate: Caramel, butterscotch, toffee, chocolate, cocoa, nougat, vanilla cream, cannoli cream, creamy, buttery, maple, honey, marzipan, banana, melon, raisins, pastry, toasty, muffins, latte, coffee, spicy, silky, smooth, delicious. Finish: Vanilla, creamy vanilla, light cream soda, sweet cream, creamy, banana, grassy, nutmeg, bitter herbs, spicy, smoky, oaky, cedar, dessert, smooth. Nose: Butterscotch, caramel, cream cake, cream, vanilla, honey, agave, green apple, pineapple, dried pineapple, herbaceous, nutty, popcorn, butter, sweet oak. Palate: Chocolate, graham cracker, cream, marshmallow, apple, sour orange, lime, citrus, raisin, agave, cactus, ginger, vegetal, herbaceous, mint, anise, licorice, grassy, nutmeg, spice, pepper, campfire, cedar, oak, soft, silky, light and airy, tasty. 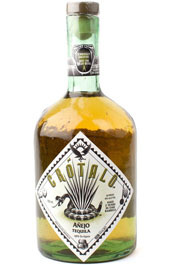 Finish: Banana, passionfruit, spicy dried fruit, green pepper, laurel, herbaceous, dried leaves, cinnamon, clove, spices, white pepper, peppery, mineral, woody, oak, cedar, smooth, tasty. Nose: Caramel, maple, brown sugar, Mexican cola, vanilla, honey, honeydew, citrus, bell pepper, pistachio, nutty, herbal, sweet grass, tobacco, earthy, briny, oak, cognac. Palate: Caramel, creamy, vanilla fudge, vanilla, dried apple, dates, floral notes, almond, bell pepper, spicy, white pepper, pepper, tobacco, menthol, wet stone, cigar smoke, smoky, wood, cedar, soft, silky, smooth. 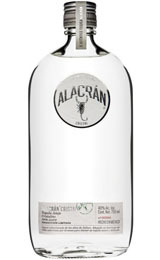 Finish: Vanilla, honey, melon, citrus, tarragon, pepper, peppery, tobacco, earthy, wood, oaky, sweet oak, cedar, creamy, smooth, rich. Nose: Toffee, caramel, creamy butterscotch, caramel macchiato, nougat, marshmallow, brown sugar, vanilla, light vanilla bean, vanilla cake, confetti cake, chocolate cake, cookie dough, cake batter, cream puffs, warmed condensed milk, honey, fresh papaya, melon, apple, cola, fennel, sandalwood. Palate: Caramel, praline, butterscotch, cocoa, nougat, vanilla, vanilla cupcakes, vanilla creamy, sweet cream, creamy, cake batter, stewed apple, raisins, Galliano, anise, grassy, green olive, cinnamon, pepper, white pepper, peppery, salty, smoky, oak, crisp, smooth, rich, pleasing. Finish: Nougat, cake batter, milk chocolate, penny candy, vanilla, sweet cream, melon, peppery, wet stone, balanced, well-made, silky, smooth. Nose: Toffee, caramel, butterscotch, praline, nougat, chocolate, vanilla fudge, Werther’s Original, vanilla, vanilla bean, woody maple, cola, mocha, honey, apple strudel, pineapple, papaya, melon, citrus, dried citrus, grass, herbal, lilacs, spicy, wet stones, oaky, rum. Palate: Caramel, Werther’s Original, vanilla cream, sweet cane sugar, powdered sugar, candied almonds, orange blossom honey, figs, agave, citrus, anise, herbal fresh, spicy, pepper, peppery, tobacco, earthy, toasty, walnut, light wood, woody, oak, silky, smooth, lively. Finish: Butterscotch, sweet cream, clotted cream, maple, vanilla, lemon, spice, peppercorn, peppery, wood silk, balanced, smooth, very yummy, very pleasant, elegant, a sipper. Nose: Toffee, chocolate, cocoa dust, vanilla, flan, taffy, toasted honey, root beer, apple, green apple, pineapple, peach, melon, figs, dates, dried fruit, lemonade, apple skin, rose, herbs, hazelnut, cinnamon, smoke, woody. Palate: Toffee, butterscotch, chocolate, café au lait, brown sugar, sugarcane, vanilla, marzipan, almond milk, hot honey, baked apples, orchard fruit, melon, citrus, clean agave, herbal, olive, grassy, sandalwood, hazelnut, almond, nutty, cinnamon, mineral, beautifully balanced. 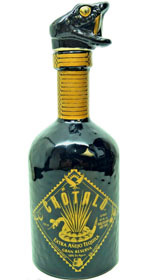 Finish: Caramel, creamy, chocolate cream, pineapple, citrus, anise, bell pepper, pepper, earth, smoke, cedar, balanced, lingering spice, whiskey-like, smooth. Nose: Toffee, caramel, crème caramel, vanilla, cream soda, honey, agave, olive, bell pepper, spice, white peppercorn, leather, minerality, brine, earthy, dust, charred oak, oaky, woody, dry redwood, pine. Palate: Caramel, creamy, vanilla, agave sugars, demerara sugar, molasses, honey succulence, clover honey, apple, creamy and sweet cooked apple, strawberry, melon, dried fruit, soy milk, almonds, nutty, spicy, pepper, good balance of black and white pepper, wilted red roses, mossy, earthy, pine, woody, bourbon-like. 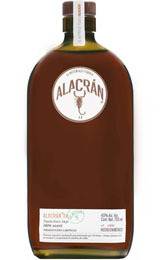 Finish: Mango, banana, sweet dates, raisins, creamy, smoky cream, spicy figs, peppery, spicy, meaty, briny, oaky, bourbon, smooth.